Rudy is our office therapy dog. As an avid environmentalist he insists on carpooling everyday with Greg Zadow. 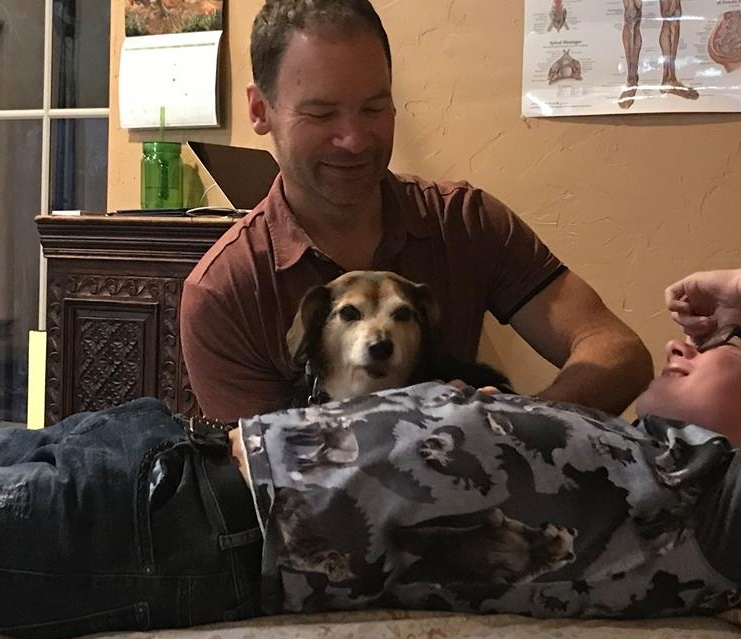 At twelve years old he is one of Green Ridge's youngest employees and can be found greeting patients by the door and checking in on them during their treatments. In Rudy's spare time he enjoys resting by the fireplace, cleaning the kitchen floor, and squirrel watching from the comforts of the indoors.